Here's how you can get presidential in the District. As you know, the President of the United States lives in Washington, DC. Now that the obvious has been stated, you should also know that the nation’s capital has many ways to engage with presidential history. Of course, you can always tour the White House, but we’ve detailed other attractions to visit that do not require reaching out to your Member of Congress. Enjoy! Explore the portraits of all U.S. presidents in America’s Presidents, a permanent exhibition at this free Smithsonian museum. The National Portrait Gallery is the only place outside of the White House that is home to official portraits of every Commander-in-Chief. Among the highlights: Gilbert Stuart’s “Lansdowne” portrait of George Washington, the famous “cracked plate” photograph of Abraham Lincoln, sculptures of Presidents Lyndon Johnson, Jimmy Carter, Richard Nixon and George H.W. 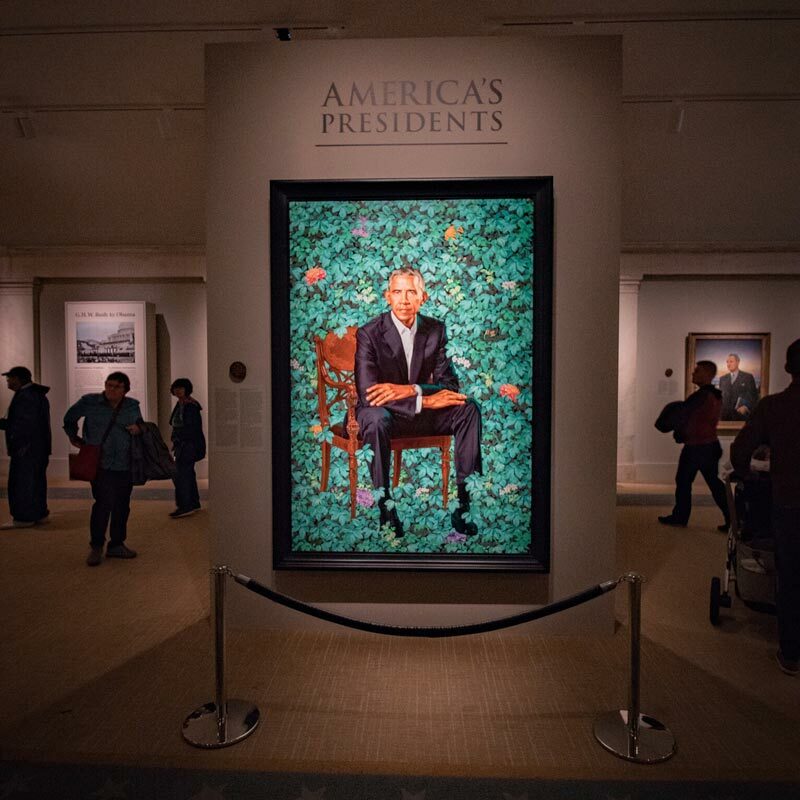 Bush by noted caricaturist Pat Oliphant and a stunning new portrait of Barack Obama by Kehinde Wiley. 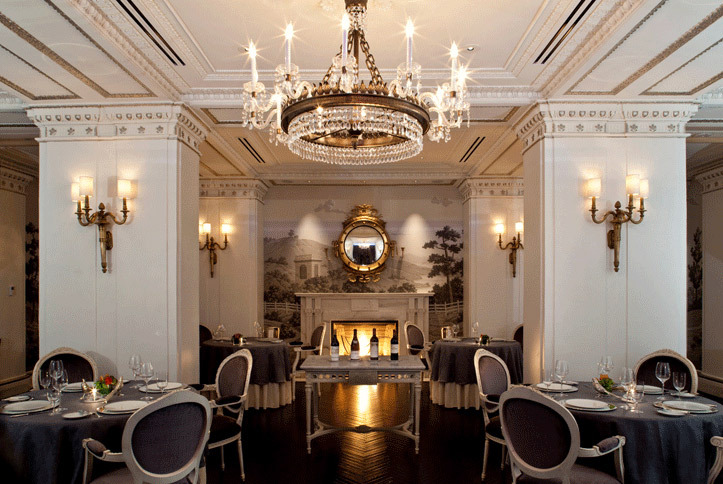 Awarded a star-rating in both editions of DC’s Michelin Guide, Plume features a menu inspired by Thomas Jefferson’s kitchen gardens at Monticello. Dishes reflect the harvest from the third president’s estate in Charlottesville, Va., while more than 1,300 wine labels represent more than a dozen countries and years, including over 50 wines that Jefferson himself enjoyed. 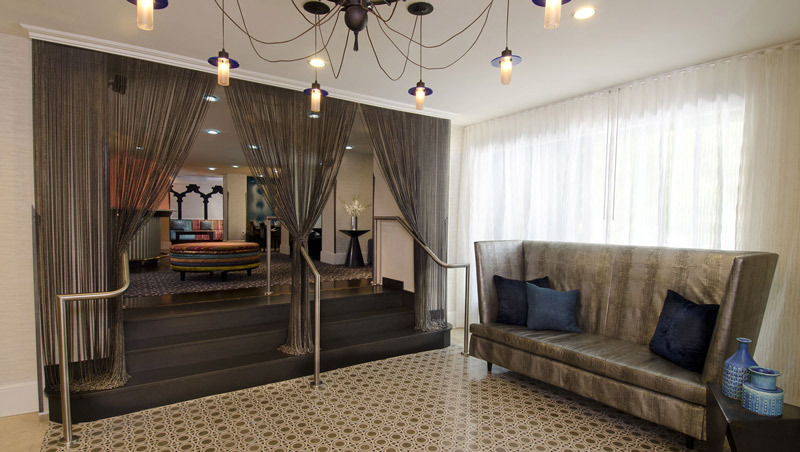 The high-end Jefferson Hotel also has a private dining room, where guests can receive their vino from the wine cellar via a dumbwaiter, an invention of Jefferson’s that can also be seen at Monticello. The DC outpost of the famous British museum features patriotic wax figures, from George Washington to Barack Obama. The Presidents Gallery gives visitors the photo opportunity of a lifetime: you and yours can pose for pictures with each and every prez, as well as try out the Commander-in-Chief’s seat in a replica of the Oval Office. The family-friendly exhibit includes fun facts about each president, making this an intriguing way to bring history to life for your little ones. President Lincoln’s Cottage in Petworth is where the Great Emancipator drafted the Emancipation Proclamation, making it a must-see DC landmark. Though just three miles from the White House, the abode was considered a retreat, and served as Abraham Lincoln’s second home and temporary office. The cottage also sheltered the 16th President during the Civil War. Purchase tickets and tour this historical wonder that resides near Rock Creek Park. Rest your head where President McKinley once did…without an invite to the White House. Stop in for a drink at the Topaz Bar at the elegant Kimpton Topaz Hotel, otherwise known as the “Little White House.” The converted building once served as Teddy Roosevelt’s house during his tenure as President William McKinley’s vice president and for a short time before he officially moved into the White House, giving it its appropriate nickname. When you belly up to the bar, ask the bartender for a Gin Rickey, which was invented right here in DC. The former estate of America’s first president is nestled beautifully alongside the Potomac River, featuring jaw-dropping views and an expanse that can fill a day with exploration. Mount Vernon sports an iconic mansion, outbuildings, a working blacksmith shop, a farm and a distillery and gristmill that operates from April through October. The estate frequently hosts events and also displays exhibits. 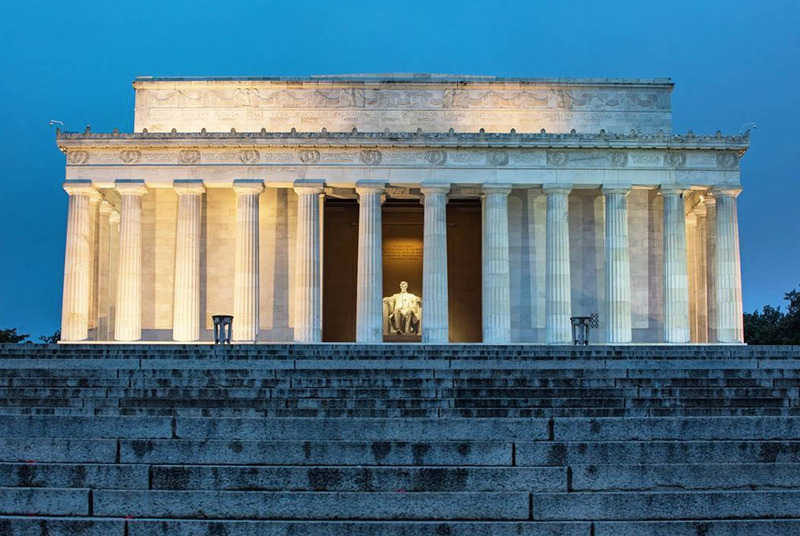 DC’s National Mall is filled with tributes to past presidents, marvels of architecture that are essential to understanding our country’s history. Stand next to Abraham Lincoln inside the Lincoln Memorial and glance up at the magnificent Washington Monument. Presidential tributes go beyond the Mall, though: Take a short walk to West Potomac Park to admire the beauty of the Jefferson Memorial along the Tidal Basin, then hang with Franklin Delano at the FDR Memorial. Theodore Roosevelt Island makes for an awesome day trip. Want to learn more about the presidential side of DC? Check out our Inauguration page.